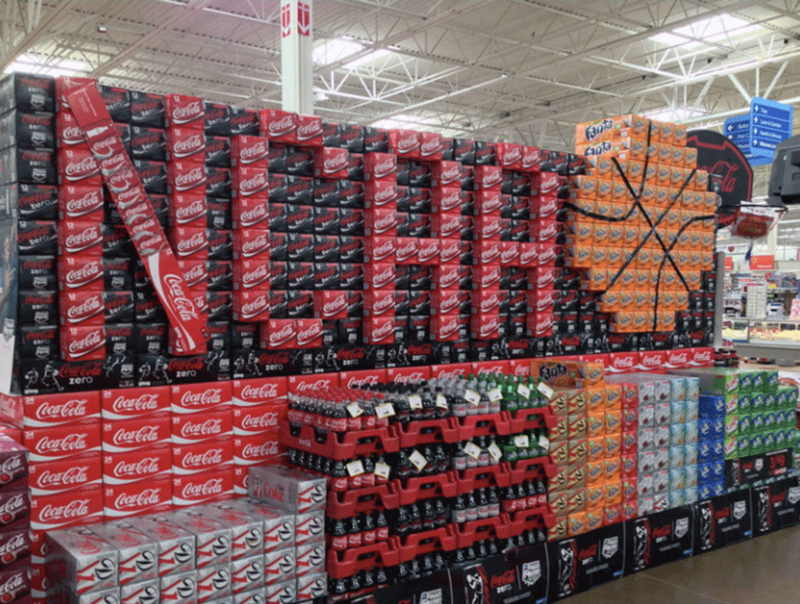 Home viewing parties, bar brackets events, giant pyramids of soft drinks and beers in grocery stores… Not everyone in the country succumbs to March Madness, but the folks who get into it are a dedicated, hard-partying and enthusiastic bunch. And purveyors of snack food, beer, and sports super-fan paraphernalia go big to reach them. This is not just a one-day celebration; it lasts for weeks, and gets crazier as the tournament goes deeper. But the demand for party food and free-flowing drink stays consistent. The official pizza of March Madness is also the #1 largest pizza chain in the United States. With stores located in just about every town, and one of the most reliable delivery-time tracking systems, this brand is one of few who can accommodate the extremely high volume of hungry game-watchers all demanding 10 large pies in the exact same 90-minute time window. 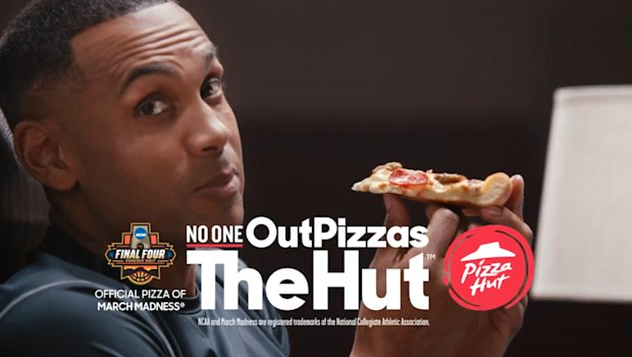 Its advertising, featuring a player with the slogan “No one out-pizzas the Hut” just drives that message home. Speaking of driving home a message, let’s look at the 2017 digital campaign partnership between Lexus and Yahoo. 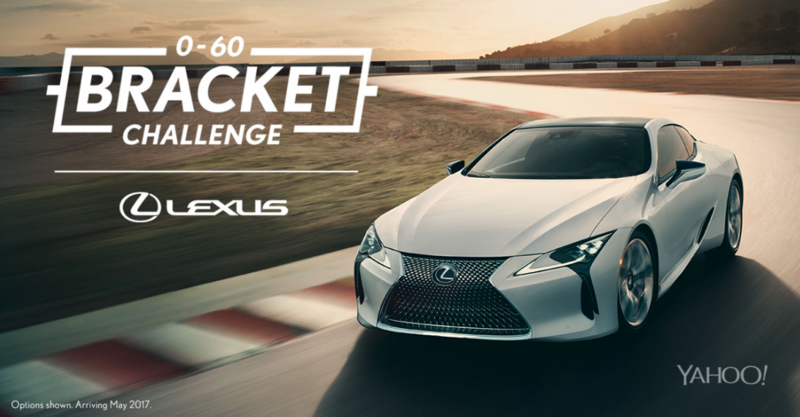 It was a splashy homepage takeover and social campaign with several sleek visual ads driving traffic back to a microsite featuring a “bracket challenge” game. For players, the point was to win a trip for four to Las Vegas during the tournament. For Lexus, it was to capture email addresses. It doesn’t matter sometimes what jingles are playing on the radio, or what fast-food chain is particularly savage on Twitter. What matters is, when someone rolls up to the grocery store with 30 minutes to shop for a party of 30 people, and they need enough beverages to keep guests happy for as long as the party goes. That larger-than-life display of soft drinks or beer at the front of the store draws these customers like a magnet, which Coca-Cola is well aware of. And that is why, no matter how multi-channel and experimental the brand may get in its marketing, it will never give up the 10-foot-high product displays, for as long as bricks-and-mortar grocery stores exist. In terms of on-premise promotions tied to events, March Madness is not a sprint, it’s a marathon. Your servers and bartenders have to have serious stamina if they’re serving crowds of drunken, passionate college basketball fans, game after game. 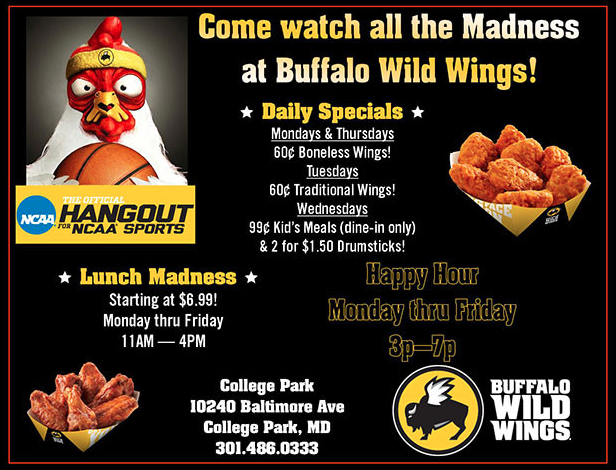 The regional bar chains or independent sports bars that host March Madness viewings tend to focus entirely on it, allowing any unsuspecting drop-ins who wanted a quiet bite to take one look around and make a swift exit. Buffalo Wild Wings, on the other hand, is big enough to balance its sports bar scene with its family-friendly dining room side… most of the time, that is. And the fun starts early — as in, lunchtime. 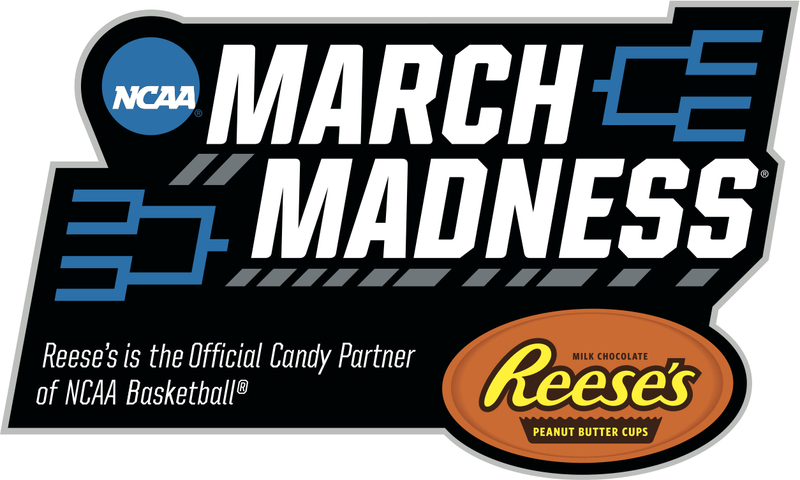 Although not all March Madness fans are in the Reese’s candy-buying demographic, the Hershey’s-owned brand is very proud of its status as the official candy of NCAA Basketball. The brand director of Reese’s, in fact, has gone on official public records as a die-hard Purdue fan who can’t wait to fill out her bracket and pick her team for the Final Four every year. With this kind of authentic fandom at the brand level, no wonder Reese’s blew up social media around the tournament last year — ranking first of all 19 official sponsors for total engagements and positive mentions/likes according to this analysis by Adweek and Origami Logic.